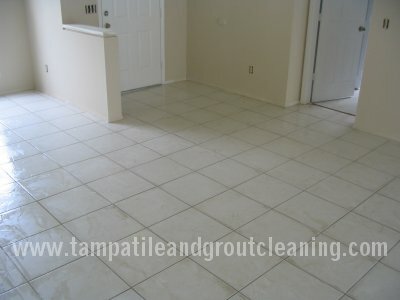 If you are ready to put that mop and bucket down, and put your tile and grout into the hands of a responsible and dependable company in the Tampa Bay area, you can contact The Grout Experts. 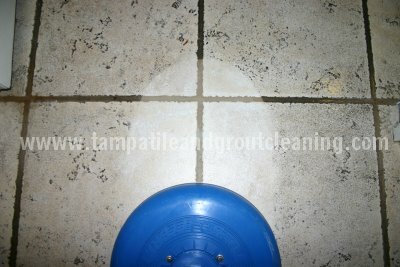 Blast through years or dirt and soil in just ONE day! Here is a job that we did for a homeowner preparing to sell their home. Don’t let prospective buyers see your dirty and dingy tile and grout. 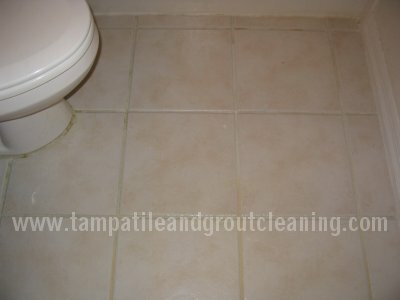 Make that great first impression and call Tampa Tile and Grout Cleaning. 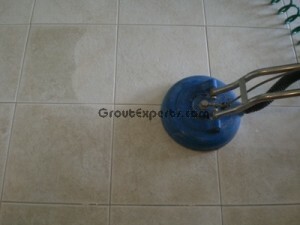 Here is the cleaning path of our cleaning equipment. 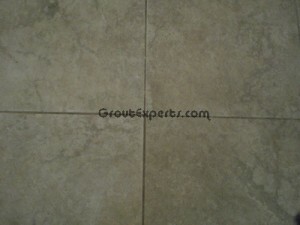 You can bet the business owner was surprised to see what the tile looked like originally. 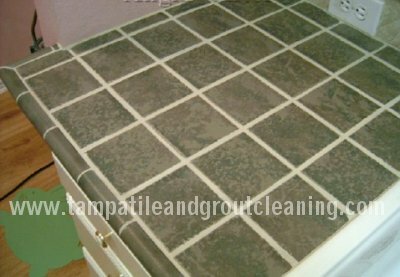 Here’s a counter we did freshened up. 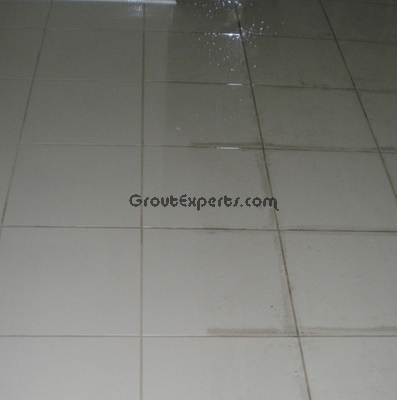 The original grout had become stained from all the heavy use in the kitchen. We color sealed to protect it from just about any future spills. 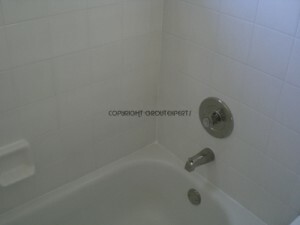 We also gave this customer a lifetime warranty on our color seal! 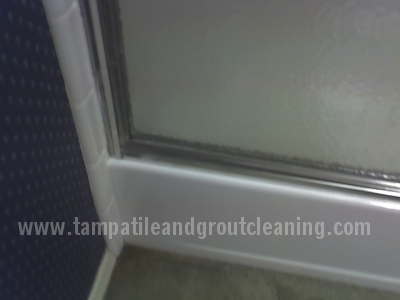 Here are some shots of a bathroom we did today. 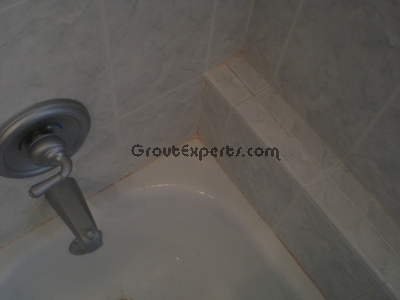 As you can see in the pictures the bathroom floor had been originally grouted using a bright white grout. Unfortunately this is the default color in many new subdivision homes built today. Looks great when freshly installed but can be a tough floor to keep clean. 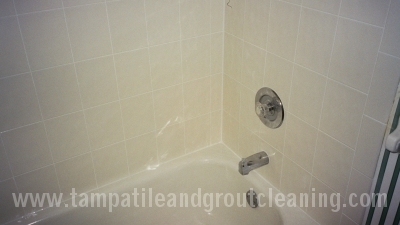 We cleaned, prepped and completely color sealed this grout for the customer. 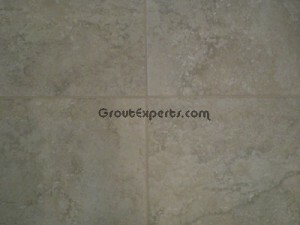 The grout will now remain water-proof and stain resistant for many years to come. 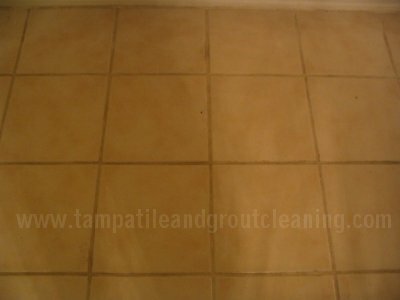 Here is a before and after photos of the dramatic difference cleaning a very textured tile. 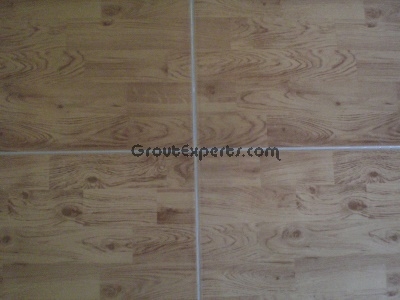 The owners of this floor had gotten so used to the floor that they actually thought it was supposed to look like this! 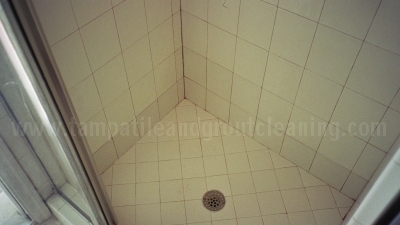 Here is a picture of a shower restoration job that we did. Notice the difference of the removal of the moldy caulking around the edges of the tub. 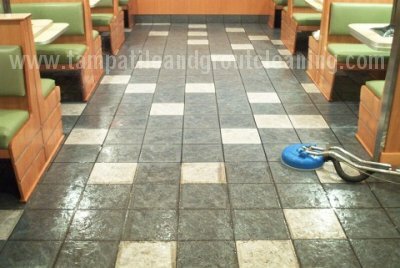 Here is a room shot of our cleaning methods applied to a commercial restaurant’s 12 inch tiles. Helps give a clean impression to your customers! 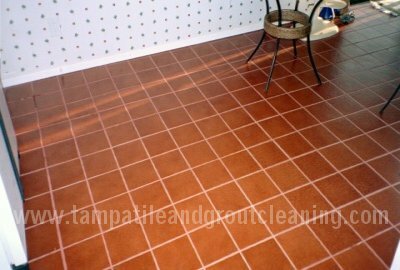 Here is a job where we cleaned about 300 sq ft of red quarry tile. 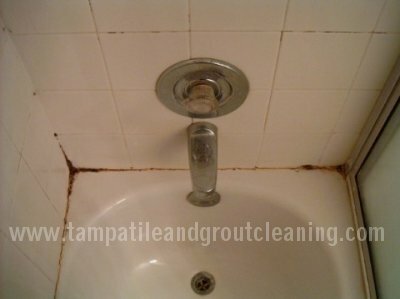 The homeowner had gotten tired of trying to clean the grout on her on with a little toothbrush and some supermarket cleaner. She KNEW there had to be a better way! 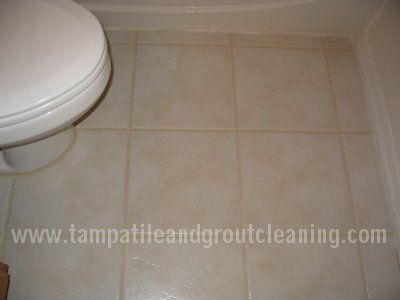 Here is an example of cleaning white grout in a subdivision in the N.Tampa – Lutz area. 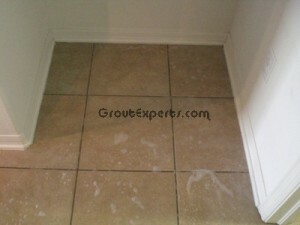 As a side note you’ll see how white and bright the grout came out. 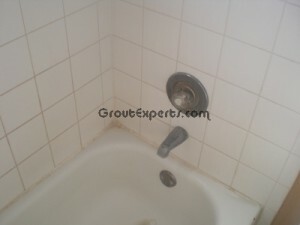 We ended doing the next door neighbor’s house the following week. 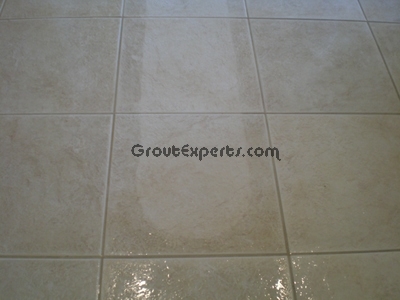 What’s interesting was that we noticed how easy it was to clean the tile and grout in the pictures below. 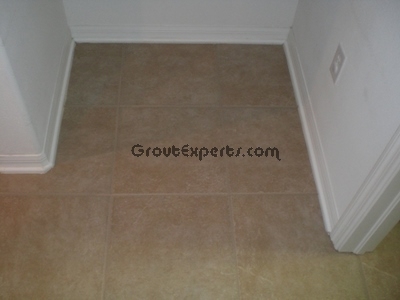 The 2nd neighboring home required additional time and effort to get a similar result. The big difference? *SEALING* the grout when it was first installed. The homeowners in the first home (pictured) had sealed there grout shortly after moving in. 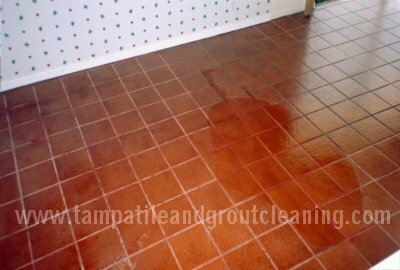 Even though the floor still became soiled over time the dirt and deposits were only allowed to reach the top layer and there was minimal if any staining. 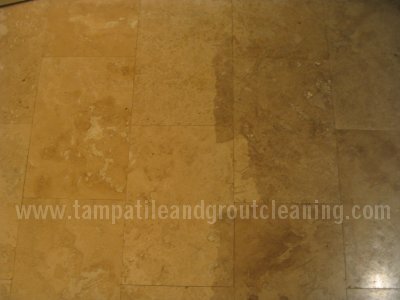 Here is an example of a job cleaning a natural stone known as Travertine. This was in a commercial installation and they were surprised really how dirty their floor were. 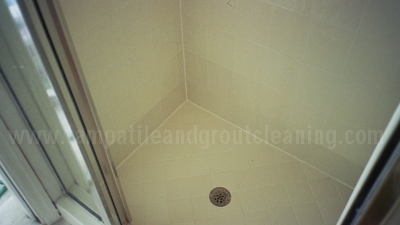 Here is a picture of a shower restoration in a marble shower. 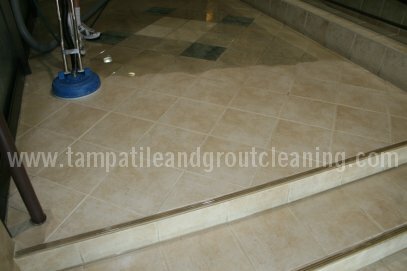 Marble is a very delicate stone surface and not just any cleaner can be used to clean it up. 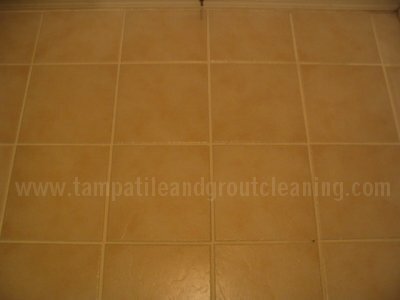 Here is a picture of a commercial tile and grout cleaning job. 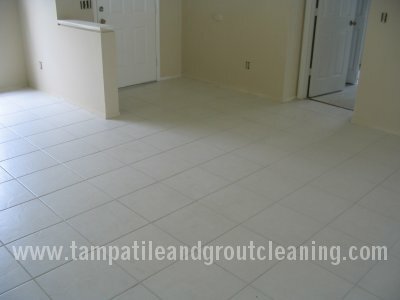 Tampa Tile and Grout Cleaning is happy to accommodate larger projects to meet the needs of commercial clients. 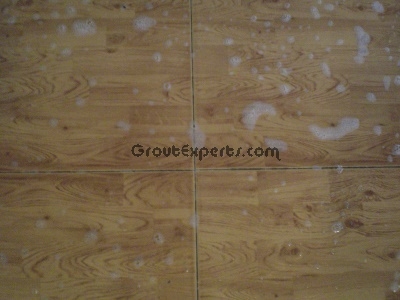 Here is a picture of our turbo washing tile and grout cleaning equipment. 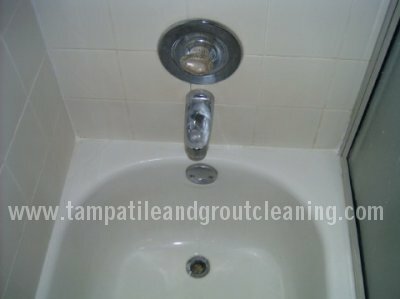 High pressure water is sprayed at 500-1000 psi – washing away years of accumulated soil and dirt. 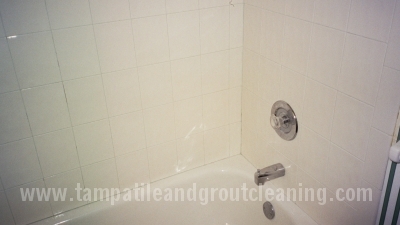 It is then immediately extracted and vacuumed up. 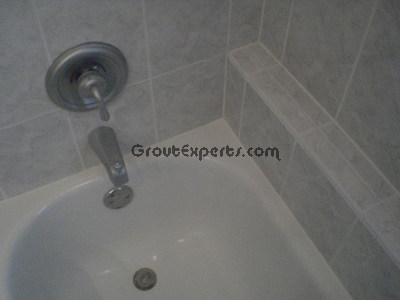 This process uses the water pressure safely and with no over-spray of the surrounding areas. 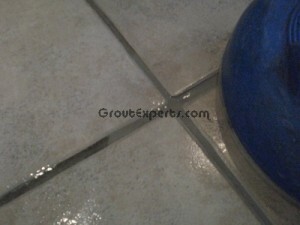 Here is a demonstration of why you should always have your tile and grout sealed. 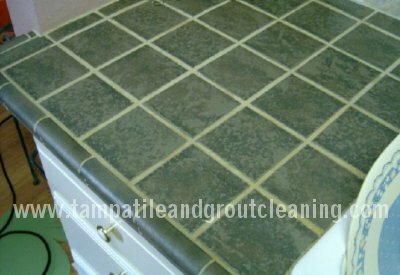 A sealed surface will repel water and other liquids that could otherwise seep into the pores of the grout and cause staining. 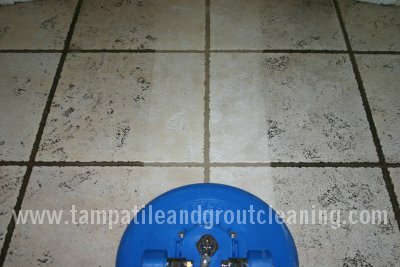 We have the ability to use steam cleaners to clean your tile and grout before sealing.